It’s a beautiful way to remember a precious one. Thanks so much for getting in touch with me. I always try to walk past this bench when I walk along the beach. Hi Sue , so nice of you to comment , it is my daughters bench and on her birthday a few years ago my mum suggested decorating her bench with more than just flowers . 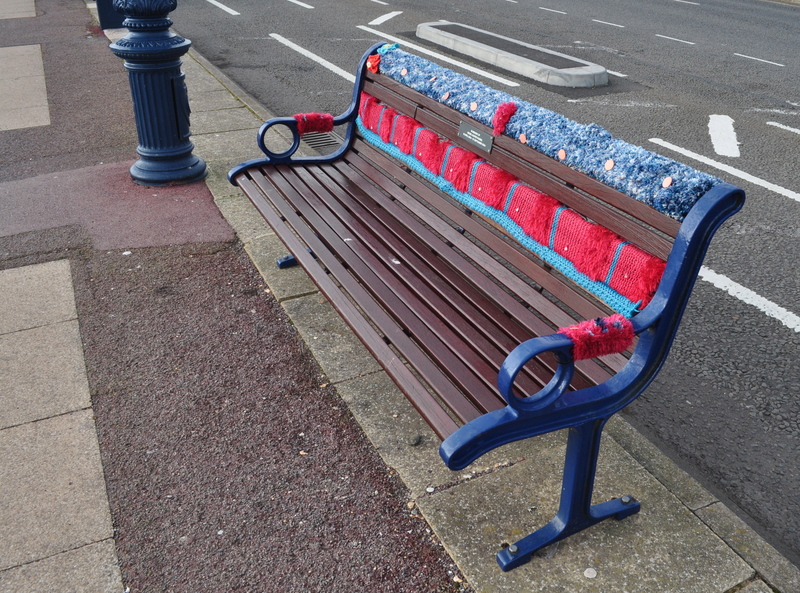 We asked all our friends to knit a patch and we sewed them all together and created a mixed pattern.it looked so fab so each year mum knits a new bit for the bench. 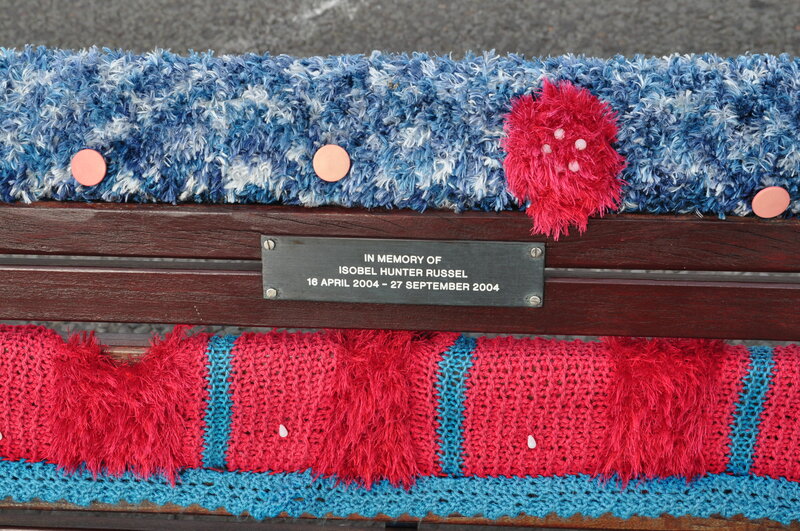 There are no real ways to get over the loss of a baby but we try as a family to keep happy and to think of our angel enjoying her knitted bench !! Thank you for reaching out to me. I love your bench and can feel the joy and love whenever I pass by – and I do try to do that every time I walk along the seafront. I am sure she loves it too.